Tax return cashlings – what the heck are you doing with yours? OK, hold the phone. Shut the front door. You gotta be kidding me. You haven’t done your tax return yet? Are you blinking crazy? That’s the first thing on my mind the night before the 1st of July, followed by a big squeeeee a few weeks later when it’s finally sitting pretty in my bank account. But now what? Do I put it on my credit card, leave it alone, buy a smokin’ new outfit or worse spend it on a night out? Regardless of how big or small your tax return is, there are so many options! Put it into the wedding fund because your husby-to-be wouldn’t let it go anywhere else. Or maybe you’re paying your way through uni and need the extra cash for tuition. If you can do that, kudos to you. I took the FEE-HELP option and will regret that forever. That’s a different story, I’m getting off track. You know how everyone talks about this Emergency Fund like it’s something you’re given the day you become an adult? I never had one until recently and it’s my little safety net. Essentially, I can lose my job and still use the air-conditioning in a Queensland summer because, guess what, I have an emergency fund to pay for my bills! Definitely something you should think about. Like seriously, over wine. If not, you gotta read “On Your Own Two Feet”. That book changed my life and I’ll get to that blog next! Put it into one of those boring 2% interest earning accounts that do diddly-squat. #truth Enough said. No really, I’m not writing anything more about that and hopefully you’ll understand why. Use a portion to pay off your credit card or personal loan. Reduce what I like to call ‘Debt Sweat’. Any additional contribution will lower the overall interest payments, which can only ever be a good thing! Besides why would you put the cash in a low interest earning account when you have a loan that is growing your interest owed at three times the rate? I mean, HELLO! Is anyone home? Make a contribution to your super – hell YES! We work hard for our monies and (hopefully) any tax return is just as much deserved. Putting this money into your future might induce a tantrum now, but trust me, having that cash invested now, with longer to grow, is the best thing you could do for your little cashlings. Invest in shares or a managed fund – you can either go to your bank for help or you can do it yourself. It is possible, trust me…and the FFT blog. There are hundreds of different options out there for you to choose from but it’s about getting the right fit. Like finding those jeans that hug your buns just right. Well, sort of. The point is, I could drabble on about what I think I should do but that’s not going to help you with a different earning capacity, different loans, different responsibilities etc. I mean, you wouldn’t give a size 8 shortie, a pair of size 12 flares with high rise. Would you? I left the fun one until the end, but like anything, it should be taken in moderation. And that’s treating yourself. Whether it be a holiday, new TV or maybe even a new car (but god, please don’t do that), everyone deserves a little treat. That being said, I certainly WOULD NOT recommend spending ALL your return on this option because that’s just dumb. Plain dumb. It’s also good to have a portion going to each of the three TOP TIPS, but again think about your position. If you’ve just had a baby, haven’t worked in 6 months and struggling to keep in the black, don’t go all lady-of-leisure on your hubby/partner and redocorate the entire house. Dumb. And on FFT, I’d like to think there’s a smartie in all of us. 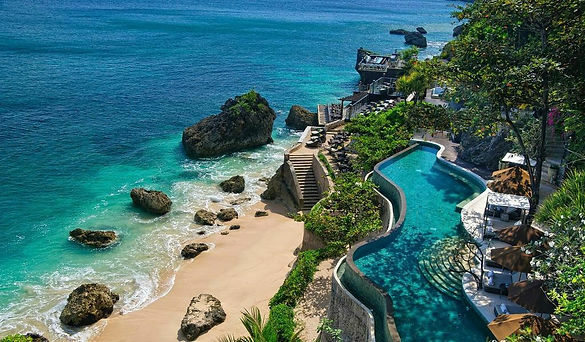 http://ayanaresort.com/en/home AKA my home in a few weeks. Not sure my camera will take the same pic though. So what are you going do? For me, I waited until I got my bonus at the end of September and combined the two. I’ll be splitting the total across my Super, FFT investments and a little getaway with my man. Some personal trivia? It’s been 2 years since we’ve been on a holiday and we deserve it!! Like FRIGGEN deserve it! We have been pretty good with our cashlings over the past 12 months and are rewarding ourselves with a beach vacay, within moderation, of course! Don’t be shy (I’m not) and tell me what you did with yours.